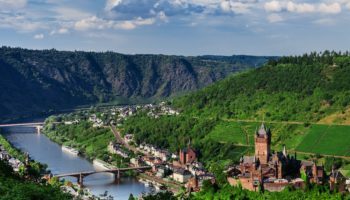 The west part of Germany is a region of contrasts, from heavy industry to romantic river cruises where vineyards and medieval castles reign. Yes, western Germany is definitely worth a visit. Many of the towns owe their beginnings to the Romans, and some ruins can be found today. Several cities saw heavy destruction during World War II, but, thankfully, many important buildings and landmarks remained standing. To really get a feel for the region, you need to spend a few days in key towns. Plus, take time to explore the landscapes in between. You won’t regret it. Dusseldorf is an international trade and business center, hosting numerous trade fairs throughout the year. It’s also known for its tech and fashion industries. Christmas is a good time to visit Dusseldorf, since it puts on one of the biggest Christmas markets in the country. If merrymaking, not shopping, is your thing, don’t miss the Rhenish Festival that takes place in the New Year; it’s one big carnival. 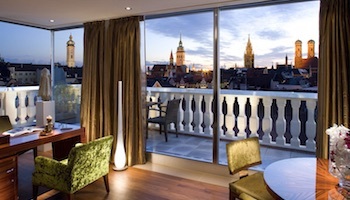 Dusseldorf also is a city of culture, with museums devoted to the fine arts, ceramics and film. 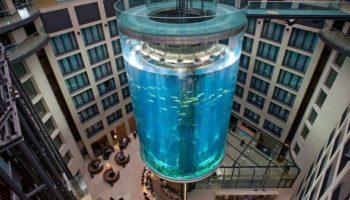 Check out the stunning views of the city from the Rheinturm, a telecommunications tower with an observation deck. Aachen is a spa and tech city now, but centuries ago, it served as the imperial palace for Charlemagne, emperor of the Holy Roman Empire. Charlemagne ordered the building of the Aachen Cathedral in 796, and is buried there. 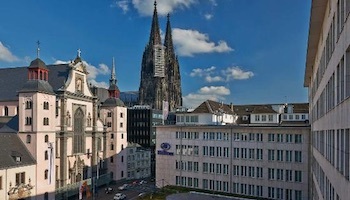 The huge cathedral served as the coronation site for 30 kings and 12 queens of Germany. The cathedral’s treasury, started by Charlemagne, is filled with religious objects, crowns and art work donated by various European rulers over the centuries. Other key sights in Aachen, located close to the border with Belgium and the Netherlands, include the 13th century city hall, which contains frescoes showing the life of Charlemagne. Once a Roman stronghold, Koblenz is considered one of the most beautiful towns in West Germany. One of the best places to take in all this beauty is from Ehrenbreitstein Fortress above the Rhine. Located at the confluence of the Rhine and Moselle rivers with mountains in the background, could it e otherwise. Because of its unique position, Koblenz makes a good place to start cruises on the rivers. If you choose not to cruise, there’s plenty to keep you busy on land. The list includes the Deutsches Eck, a statue at the confluence, and the 13th century Lahneck Castle that inspired Goethe to write a poem. Founded by the Celts in the 4th century BC, Trier is believed to be the oldest city in Germany. 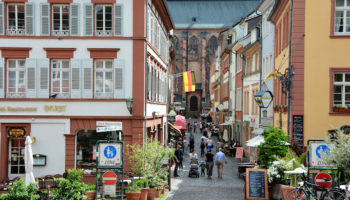 Known as Treves in English, Trier is located on the banks of the Moselle River smack dab in wine country. Be sure to try the Riesling, the region’s top wine. Vineyards aside, Trier doesn’t lack in historical landmarks, including well-preserved Roman ruins such as the Porta Nigra Gate and the 4th century palatial Constantine Basilica, built for the emperor; it is a Protestant church today. The Trier Cathedral is home to a robe that Jesus is said to have worn when he died. There’s also a museum dedicated to native son Karl Marx. 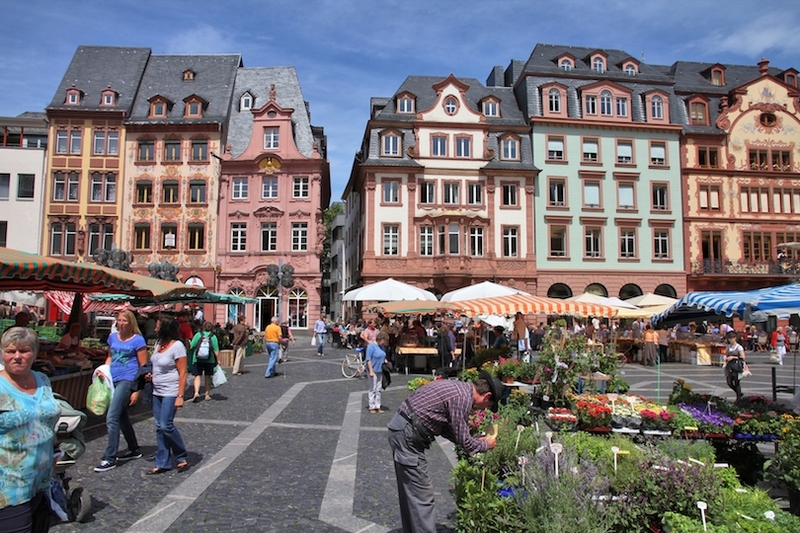 Located west from Frankfurt, Mainz certainly has an impressive history. It was founded by the Romans in the 1st century BC. Some 1,500 years later, it was the place where Guttenberg invented the movable type printing press, making books as we know them today possible. About 80 percent of the city center was destroyed during World War II, so you won’t find an Old Town. But you will find a modern city with museums filled with artifacts from the past. This Rhine River city has Roman ruins, a seafaring museum with five Roman boats; the 1,000-year-old Mainz Cathedral of St. Martin, and the Church of St. Stephen with windows by Marc Chagall. At one time, Frankfurt was an important city in the Holy Roman Empire. Today, Germany’s fifth largest city is known as the business and financial center of Germany; you’ll find the German Stock Exchange as well as the European Central Bank here. One of the top sights is the Roner, or city hall, that is composed of nine picturesque houses with peaked roofs. Your next stop might be the Gothic Frankfurt Cathedral, with its tower extending into the sky. Kings of the Holy Roman Empire were crowned beginning in 1356. A third option might be the Archaeological Garden with a Roman settlement, other old buildings and a royal palace. Allstadt district has some notable old buildings, including the only half-timbered house to survive World War II. Munster is a good place in Western Germany to burn up those calories from eating rich German food: just bicycle your way around town. A survey a few years ago found more inhabitants rode bikes than drove cars. This Westphalian town has plenty of attractions you can bike between. Among them the restored 13th century St. Paul’s Cathedral with its 1540 astronomical clock with hand-painted zodiac; Prinzipalmarkt, an historic shopping street, and the 14th century St. Lambert’s Church with three cages that displayed corpses of revolutionaries in 1535. A pretty sight is the botanic garden founded in 1803; equestrians may want to check out the Westphalian Horse Museum. Marburg, on the River Lahn, developed as the result of being on two medieval trade routes – from the North Sea to Italy and from Cologne to Prague. Located here is the oldest Protestant university in the world, founded in 1527 during the Reformation. The Marburg Schloss or castle dominates the city from a nearby hill. Equally famous is St. Elizabeth’s Church, named from a Hungarian princess who moved her to work with the sick. She died in 1231 at age 24 and later became a saint. Other top sights are the city hall and the botanical garden. If you like cologne, you can thank Cologne for this. It was invented here in 1709. 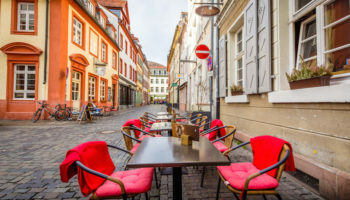 While cologne may have put this Rhine-Ruhr city on the map, Germany’s fourth largest city is known for much more than that. 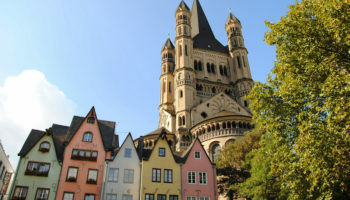 Located near the border with the Netherlands and Belgium, Cologne is famous for its Gothic cathedral, attracting 200,000 visitors a day, making it Germany’s most visited site. It’s also known for its university, one of the largest and oldest in Europe. Also check out the 12th century city hall, the oldest in Germany still in use today, and Hohe Strasse shopping street near the cathedral. 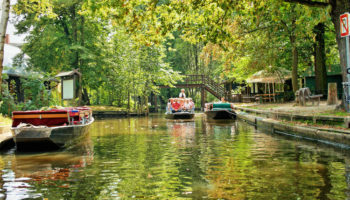 What could be more romantic than a cruise on the Rhine River! Maybe walking it, perhaps? The section between Koblenz and Rüdesheim is known as the Romantic Rhine. 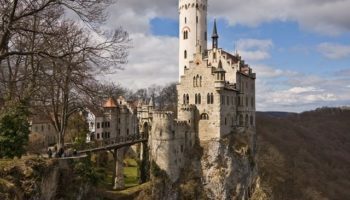 As you gaze on the medieval castles built on forested hillsides with lush vineyards below, you may think you’re the star of a fairy tale romance. 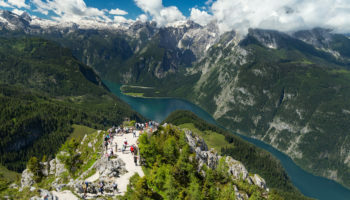 But romance didn’t build this magical scene; knights and princes did by extracting tolls from river users to pay for all this splendor, considered one of Germany’s best landscapes. Major castles include Ehrenbreitstein Fortress, which overlooks Koblenz; Marksburg Castle on the gorge, and the 13th century Maus Castle. 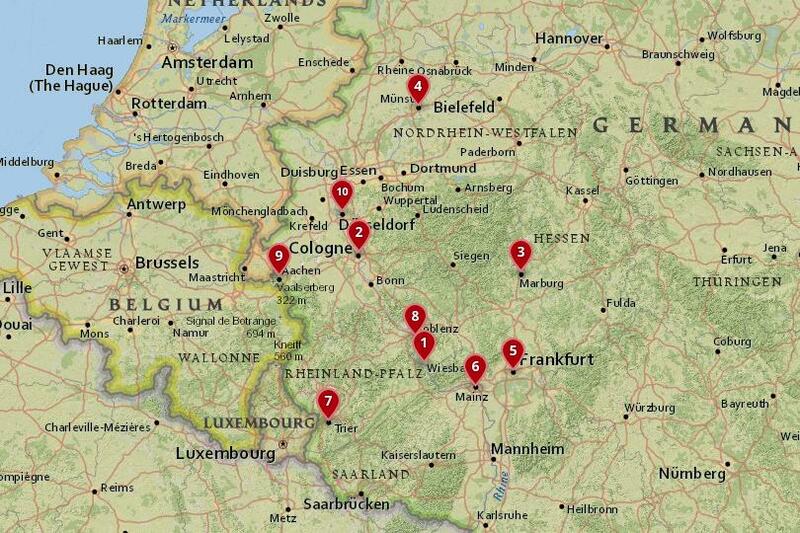 Been to some of these places — Cologne, Frankfurt, Mainz — and had a wonderful experience. Would like to visit the rest. 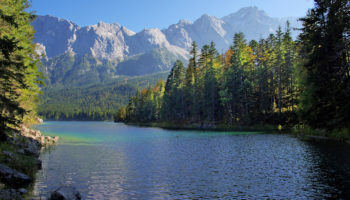 Germany is worth much more than a hurried tour.